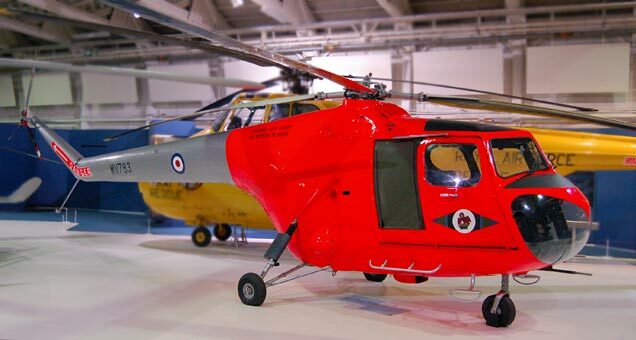 The Bristol Type 171 Sycamore was designed by Raoul Hafnerhas and has the distinction of being the first British designed helicopter to fly (July 1947), as well as becoming the first British helicopter to enter service with the RAF in 1953. Being powered by a piston engine the endurance and performance of the Bristol Sycamore was not good by today's standards but it still fulfilled the tasks asked of it at the time, in RAF service this was predominantly that of search and rescue (SAR) and anti-submarine warfare (ASW) duties for which the helicopter proved adequate for the eighteen years the RAF operated the Bristol Sycamore helicopter. This picture of Bristol Sycamore HR.12 is Copyright © June 2014 Siteseen Ltd. We only authorise non-commercial picture use and particularly encourage their use for educational purposes. This Bristol Sycamore HR.12 picture is not in the Public Domain. 3) Use of this Bristol Sycamore HR.12 picture, or any of our pictures on websites re-distributing copyright free material is strictly prohibited.